Slim, compact, 847cc, DOHC, 4- valve, liquid-cooled, 42.5 degree inclined, inline-three cylinder engine. 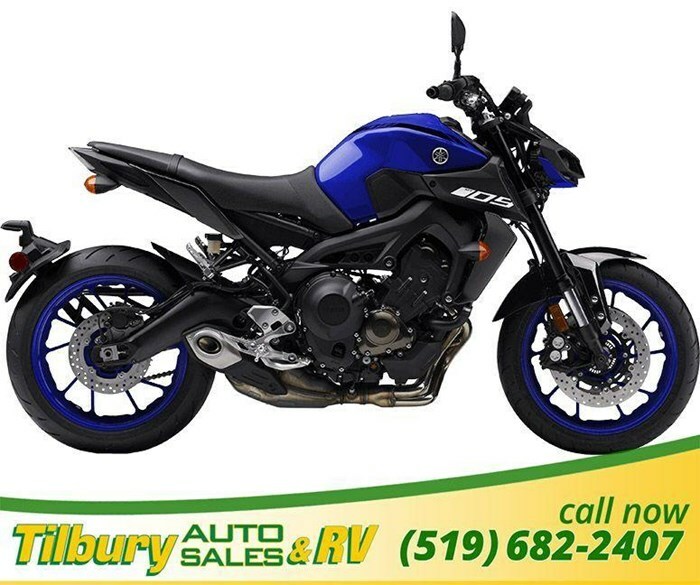 The engine has been tuned to provide plenty of low & mid-range torque with strong yet linear throttle response. 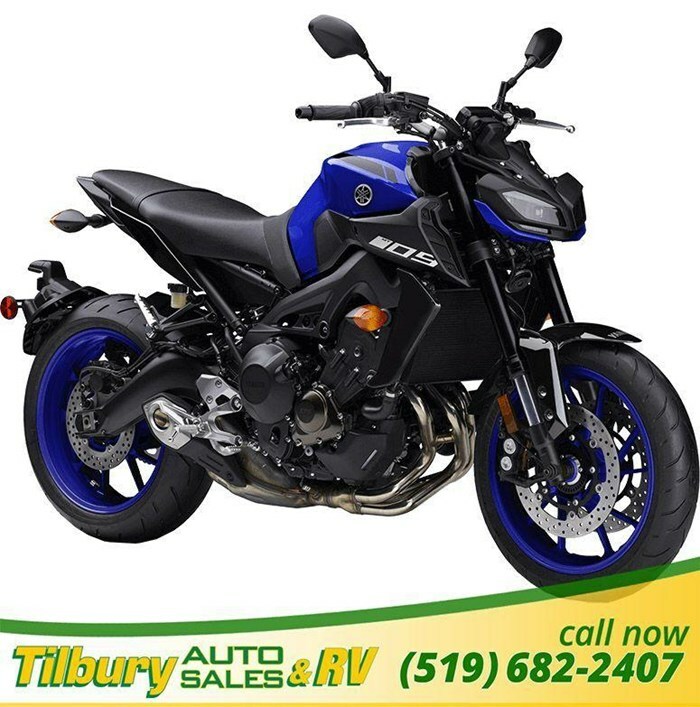 Upon its introduction in 2014, the MT-09 instantly became one of the most acclaimed motorcycles on the market. 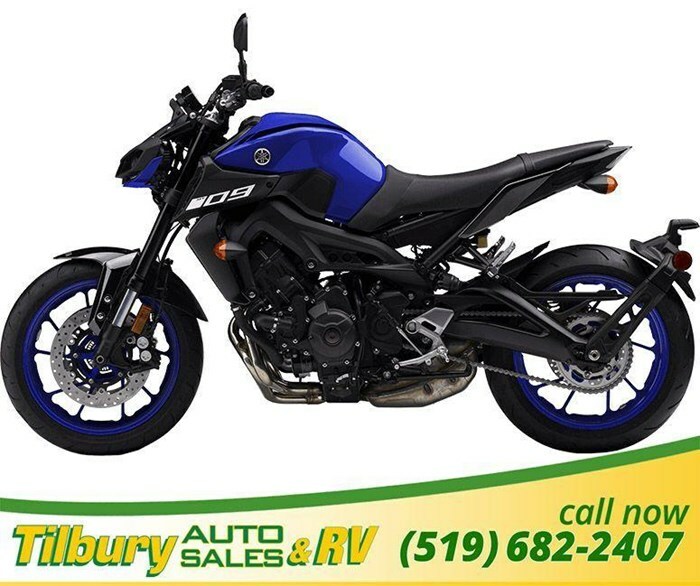 Powered by an exciting 847 cc three-cylinder engine, the popular naked sport roadster features fully adjustable suspension, three riding modes, traction control, slipper clutch, standard ABS and aggressive "twin eye" LED headlights. Experience the thrill of riding every time you hit the road. 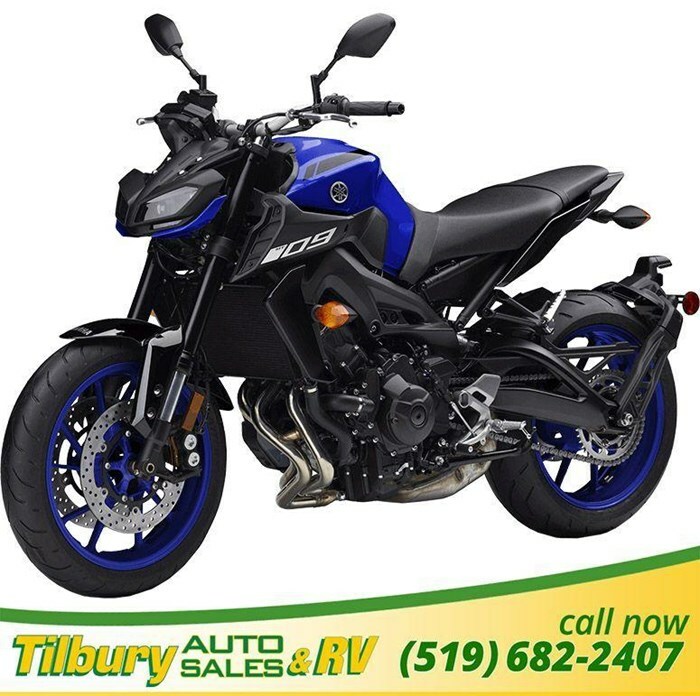 The MT-09's liquid-cooled four-stroke, 847 cc inline three-cylinder fuel-injected engine features a downdraft intake and The engine has been tuned to provide plenty of low-to-mid-range torque with strong yet linear throttle response. The MT-09 features an aggressively styled twin-eye headlight assembly that gives this best-selling naked sport a more menacing look. The slanting dual headlights are equipped with four LED bulbs, accompanied by dual LED positioning lights.